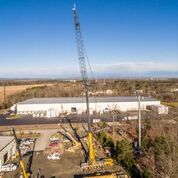 Finding a great deal for Grove cranes for rent in Virginia is not difficult, but what you really should be looking at is the team that is going to do the work. Obviously, you have this brand in mind because it’s reliable and gets the job done. However, the crew that works with this machinery is just as important, if not more important because they are going to make sure that everything is done correctly and safely. What assistance can you offer me? Construction jobs get done with teamwork. That’s why we offer additional assistance to make sure that your project stays on track and on budget. This includes certified rigging, heavy equipment repair, storage and more to make sure that if something comes up on the spot, you have an answer for it. What type of jobs can you handle? When you are speaking to a crane rental company you want to make sure that they can handle any job whether it’s big, small, commercial, residential or even rough terrain. As a builder, you are going to have so many different types of projects during the year and you need subcontractors who can handle that. How would we begin? We can step in as early as the bidding process to give you a free consultation and ensure that you are budgeting enough time and money for our part of the job. This helps you to put together a more accurate bid. If the project has already begun, we will come to the site and go over the area with you, showing you how much room we will need, getting an idea of the layout and everything else to ensure the project goes safely. As you look at our options of Grove cranes for rent, you will find that we have a great selection to accommodate any size job as well as ones in rough terrain, small areas to work with or anything else. 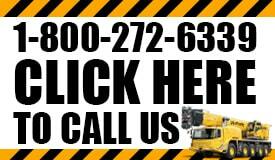 If you have any questions or would like a free on-site consultation, make sure that you give us a call today.